Venerable Master, great Assembly, all good and wise knowing advisors. I am Jin Gong, here to try to speak Dharma for you. Of course you are welcome to correct my mistakes, either during or after this talk. Gwan Yin Bodhisattva has a thousand hands and a thousand eyes. Gwan Yin Bodhisattva hears the sound of suffering in this world and reaches out to help. Wherever someone reaches out with a helping hand, we can rejoice in that merit and virtue. Gwan Yin can take many forms. We have all heard of Mother Teresa. 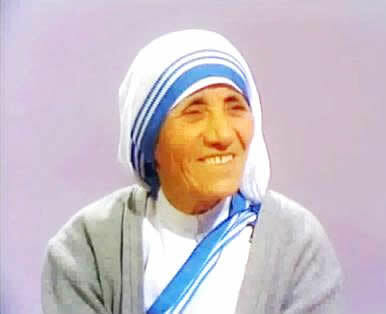 In 1952 she opened the first home for dying in Calcutta India. It was a free hospice for the poor. Poor people who were dying were brought to this hospice. They were given medical care. They were given the opportunity to die with dignity. Now Mother Teresa was a Christian. But she respected the religions of the dying people. The Koran was read to Muslims. Hindus received water from the Ganges. Catholics received the Last Rites. Everyone was given the appropriate ritual for their religion. Mother Teresa said: “A beautiful death, is for people who lived like animals to die like angels—loved and wanted." When Mother Teresa started her work with poor people who were dying, she had no place to care for them. The authorities in Calcutta offered her a section of the temple to the goddess Kali, this place had been dedicated for the housing of pilgrims. However, it was now full of thieves, drug addicts and other criminals. 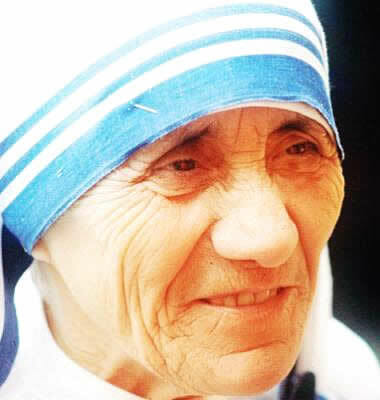 Nevertheless, Mother Teresa moved in and started taking care of the poor people who were dying. 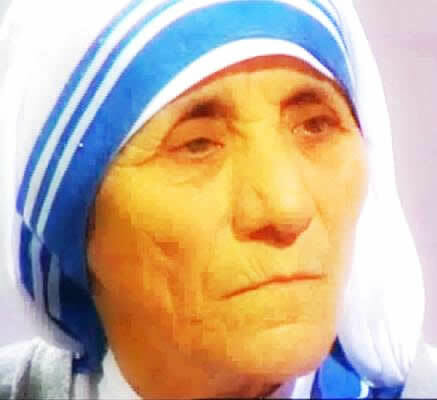 But soon rumors begin to spread about Mother Teresa. She was a strange foreigner and a Christian. She was using a Hindu temple to convert people to Christianity. Then people began to protest to the Calcutta city hall. Other people went to the police. 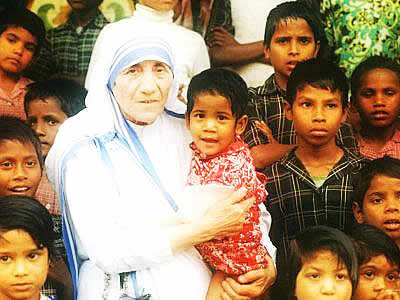 They demanded that Mother Teresa be evicted. The police commissioner promised to throw her out. He went to Mother Teresa’s hospice to investigate. 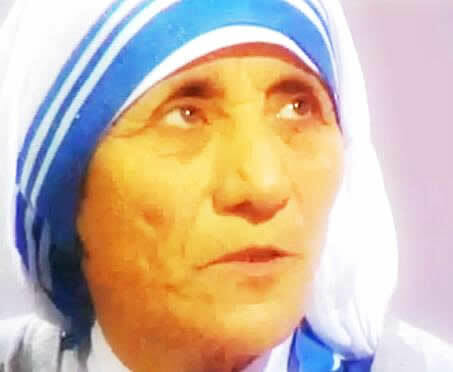 When the police commissioner first saw Mother Teresa, she was caring for a poor sick man. This man had severe wounds. Worms were crawling out of his wounds. The smell was unbearable, but Mother Teresa was patiently applying medicine to the man’s wounds. 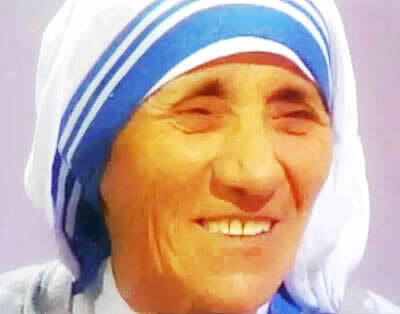 Mother Teresa treated the officer with respect she offered to show him around the hospice. But the police commissioner decided to investigate by himself. In 1982 the Israelis were bombing and shelling PLO strongholds in West Beirut, lebanon. 500 civilians had already been killed and many thousand had been wounded. 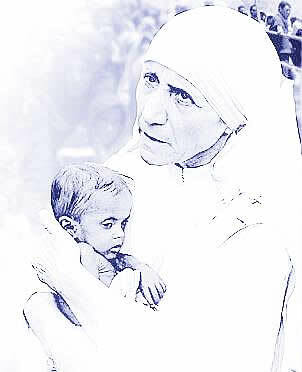 Mother Teresa had come to Beirut. She wanted to cross the border and assist the children that needed help. She was not allowed to do this because the bombing made it too dangerous. She told the US Ambassador that she would be able to go the next day. I have been praying for a cease fire she said. I am certain that there will be a cease fire tomorrow. The Ambassador did not believe her. There were no negotiations for a cease fire, it was impossible. The next day the cease fire she predicted actually happened. She crossed the border and rescued 36 children who were victims of the bombing. Mother Teresa tried to teach people to be humane as well. This is from a speech that she made: the greatest destroyer of peace today is abortion. Abortion is a war against the child. It is a direct killing of the innocent child — a murder by the mother herself. If we accept that a mother can kill even her own child, how can we tell other people not to kill one another? How do we persuade a woman not to have an abortion? As always, we must persuade her with love. We remind ourselves that love means to be willing to give until it hurts. So the mother who is thinking of abortion, should be helped to love. That means to give until it hurts her plans, or her free time, in order to respect the life of her child. The father of that child, whoever he is, must also give until it hurts. By abortion, the mother does not learn to love, but kills even her own child to solve her problems. And by abortion, the father is told that he does not have to take any responsibility at all for the child he has brought into the world. That father is likely to put other women into the same trouble. So abortion just leads to more abortion. Any country that accepts abortion is not teaching the people to love, but to use violence to get what they want. That is why the greatest destroyer of love and peace is abortion. Here is what the Venerable Master said about abortion: There are diseases which are hard to cure. These diseases do not happen by chance. Behind these diseases there are ghosts these little ghosts were fetuses who were aborted. They were killed before they had a chance to develop into complete human beings. So these ghosts have a grievance and want people’s lives in payment so now there are a lot of little ghosts everywhere trying to make people pay with their lives or causing them to suffer many strange diseases These ghosts are very ruthless and malicious. Why is this? Because they were killed first and now they want to take revenge. Anyone can help in the work of Gwan Yin Bodhisattva. It can be someone in another religion. It can be you or me. We can try to relieve the suffering that people are undergoing in the present. We can try to relieve the suffering that they might have to undergo in the future. We can help people avoid future suffering by speaking the Dharma. When people understand cause and effect, they can change and avoid future suffering. So we recite to end suffering. We study the the Dharma to end suffering. And we can spread the Dharma to end suffering.